Need a Christening gift for a girl? Name a star! Feel good knowing you’ve given the most original Christening gift for a girl in the universe! Dear Online Star Register, thank you so much for registering my ‘christening star’. My wife was thrilled with this wonderful christening gift for our cherished baby daughter. It made this special occasion even more special. We will certainly be recommending this gift to all our friends and relatives. Best regards from the Tagg family. I have the most wonderful goddaughter in the whole world. On her christening day on May 17, I was a bit perplexed regarding what to gift my little angel. Then my best friend guided me regarding baby girl christening gifts at OSR, I made up my mind in that instant itself. Thank you OSR for the best baby girl baptism gift. Just wanted to take the time to thank you for the most beautiful baby girl christening gift. Your christening gifts for girls are an ideal present for a baby christening and was surprisingly delivered most wonderfully wrapped as well. Thank you OSR and Best regards from the Christy family. It is very hard to find the friendly customer service like yours and I greatly appreciate it! My sister was very touched by this christening gift for her new baby girl. She had to take a close look to see what it was, as this is not a gift you see every day. 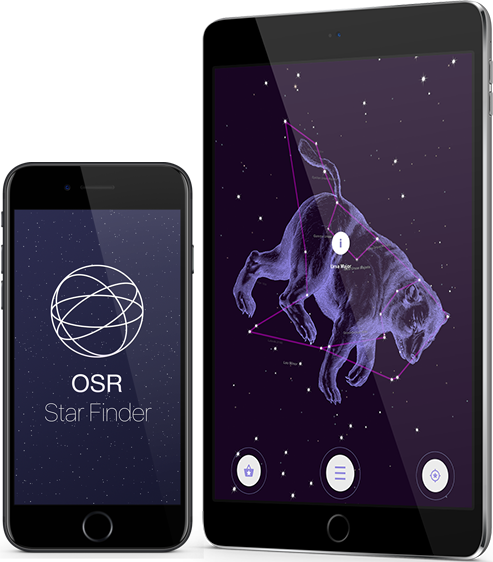 We looked up the coordinate with the accompanying star chart. My sister has hung the certificate that came with this christening gift on the wall in the baby’s room. Lovely! Thank you so much OSR. This is the third time I ordered from your wonderful site and I am quite impressed by your quick delivery and great customer service. The charming baby girl christening gift ordered by me for Mary, my goddaughter arrived promptly and was appreciated by everyone. Thank you once again for caring for your customers! The Christening of a baby girl is a once-in-a-lifetime event that everyone involved isn’t likely to forget. 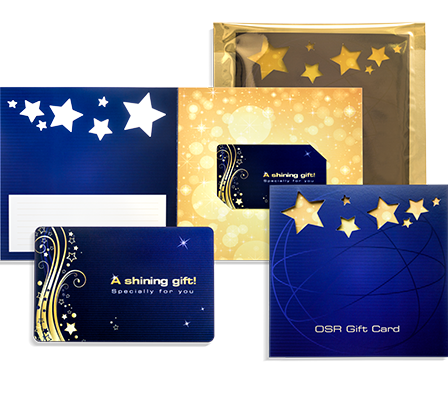 Celebrate this special day by naming a star in the Online Star Register. 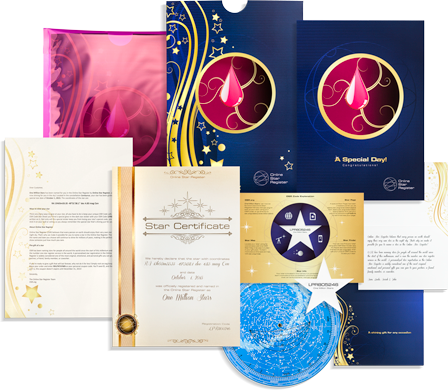 There’s no better way to bring a baby girl closer to God than with a personalized star in the heavens. 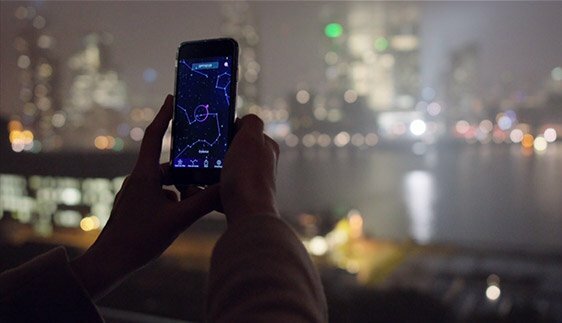 No matter which of the gift options you choose, the recipient and her family will be able to locate the star in the night sky with the help of the breathtaking One Million Stars project and with the OSR Star Finder App. This heartfelt gift is completely customizable and comes in elegant Christening gift wrapping. It’s no fun having a star that’s named after you, but not being able to show your children and grandchildren! 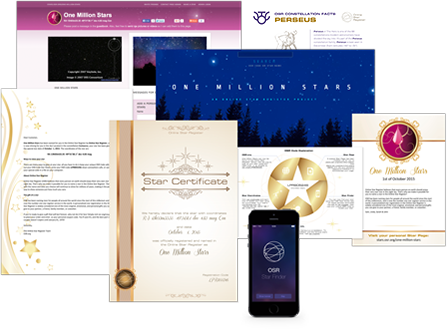 As OSR invents new and exciting ways to view your star, it will always be included in your original gift pack for FREE, so the star can be shared for many generations to come.